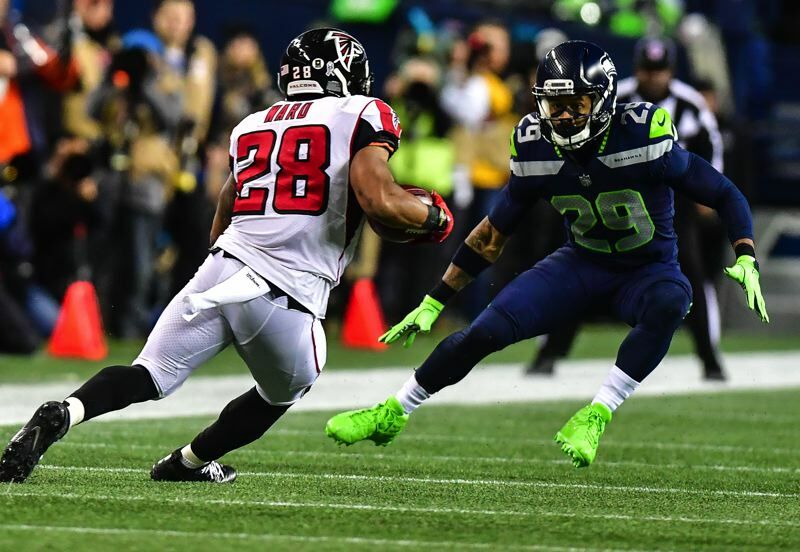 The Seattle Seahawks' NFC West title hopes took a blow Monday night with a 34-31 loss at home to the Atlanta Falcons. 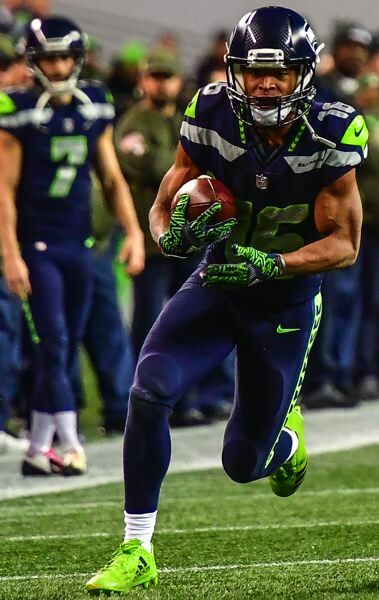 Seattle fell to 6-4 and failed to make up ground on the division-leading Los Angeles Rams (7-3), who lost Sunday 24-7 to the Minnesota Vikings. Atlanta, which made it to the Super Bowl last season, climed to 5-5 with its second consecutive victory. The Seahawks had a chance to force overtime, but Blair Walsh was just short on a 52-yard field-goal attempt with two seconds remaining. For Seattle, Russell Wilson completed 26 of 42 passes for 258 yards, with two touchdowns and one interception. Atlanta quarterback Matt Ryan was 19 of 27 for 195 yards, with two TDs and no interceptions. 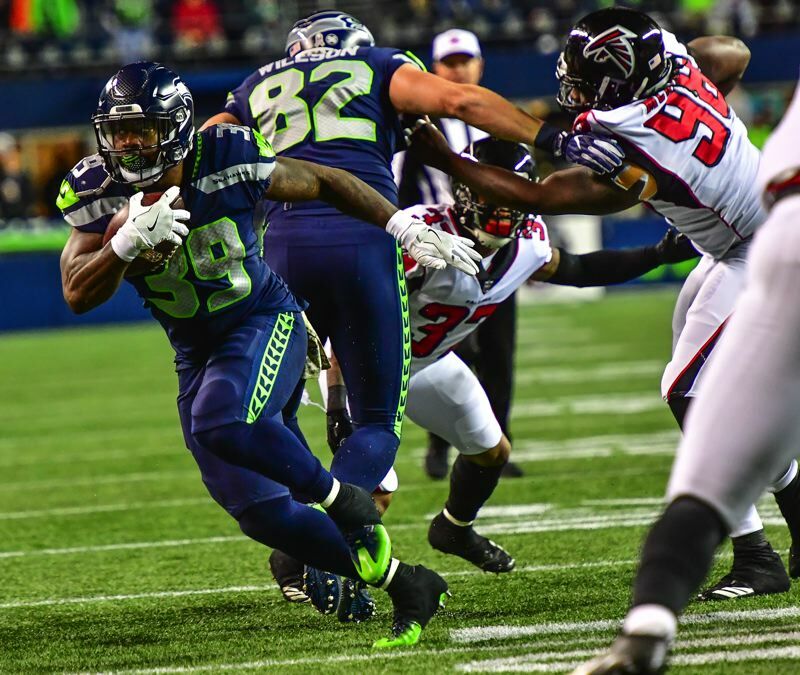 Wilson was Seattle's leading rusher, with 86 yards on seven carries. In the first quarter, Atlanta drove 52 yards in seven plays to lead 7-0. The Falcons went 35 yards in seven plays after an interception of Wilson and went on top 14-0 on Matt Ryan's 2-yard toss to Mohamed Sanu. Seattle got on the scoreboard with a 4-yard Wilson pass to Jimmy Graham that capped a nine-play, 65-yard drive. 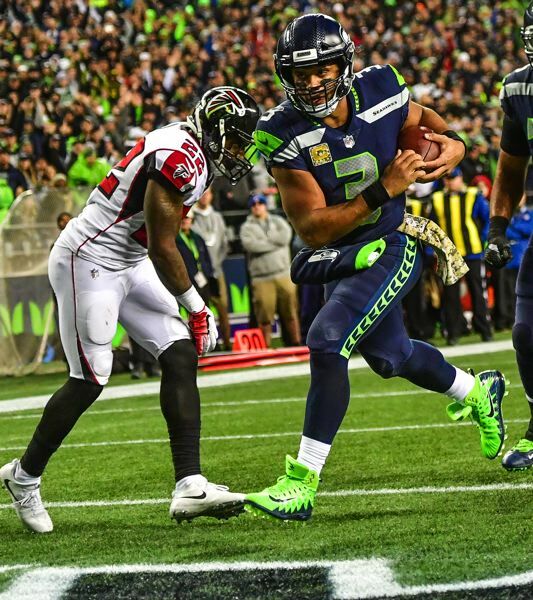 The Falcons made the score 21-7 in the second quarter as Wilson fumbled as he was being sacked and end Adrian Clayborn grabbed the loose ball and returned it 10 yards into the end zone. A 30-yard field goal by Walsh got Seattle within 21-10. 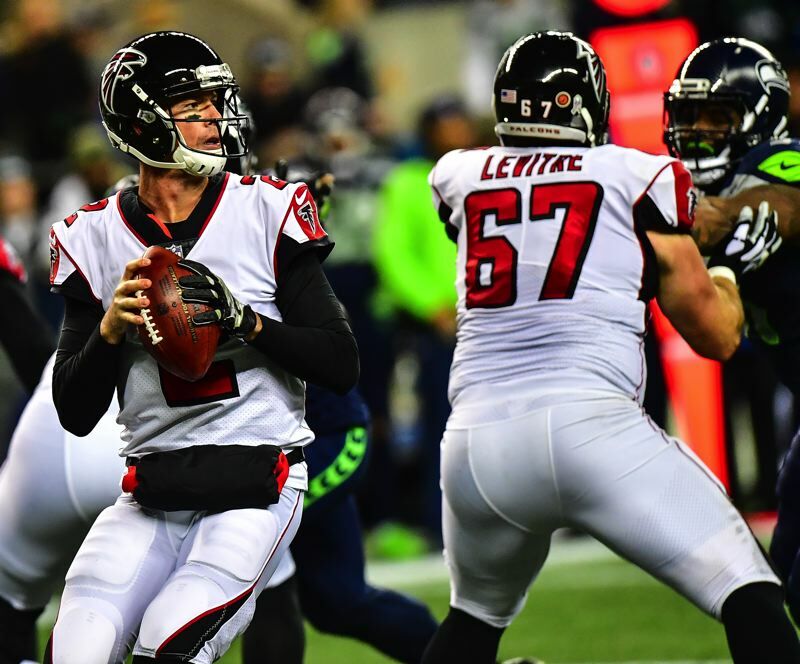 The Falcons muffed the ensuing kickoff, Seattle recovering at the Atlanta 11. Three plays from the 1 left the Hawks just short of the goal line, but Wilson scored on a rollout run with 5:21 remaining in the second quarter. 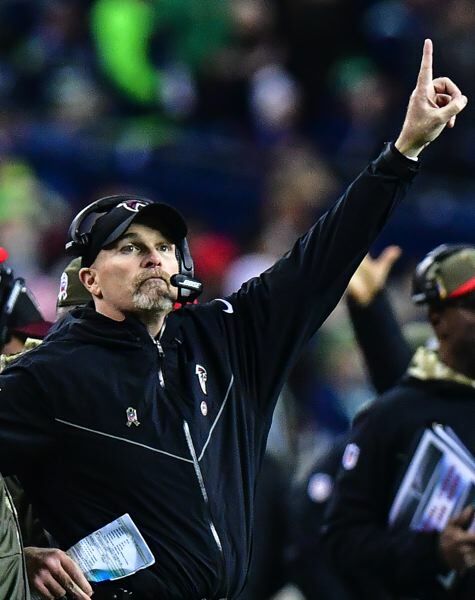 Matt Bryant's 44-yard field goal with 1:06 left in the half gave Atlanta a 24-17 edge. Walsh added a 37-yard field goal early in the second half. Atlanta came back with a 25-yard touchdown pass, Ryan to Levine Toilolo. Walsh kicked a field goal from 46 yards, closing the gap to 31-23. Bryant made a 19-yard kick, lifting the Falcons to a 34-23 lead with 3:52 on the clock. 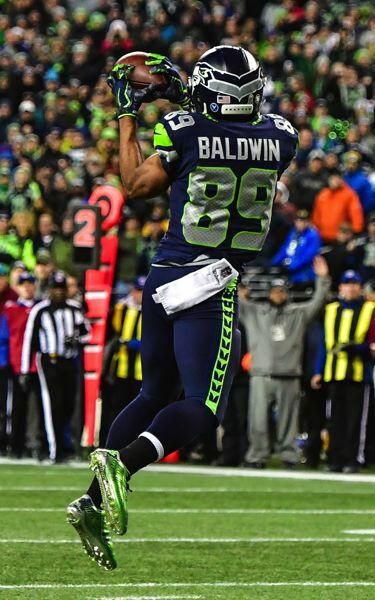 Seattle responded in a hurry, as Doug Baldwin was wide open for a 29-yard touchdown catch at 3:00. 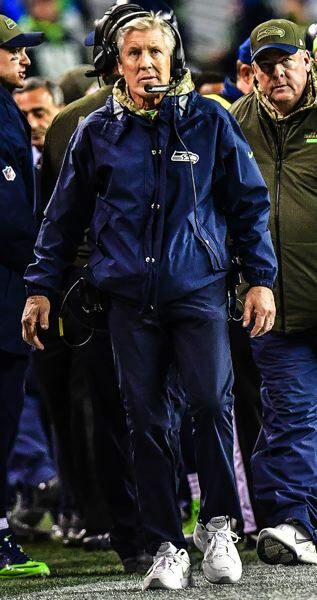 The Seahawks got a two-point conversion pass from Wilson to Graham. Atlanta's next possession began at its 15, and was forced to punt. Seattle took over at its 25 with 1:46 remaining. 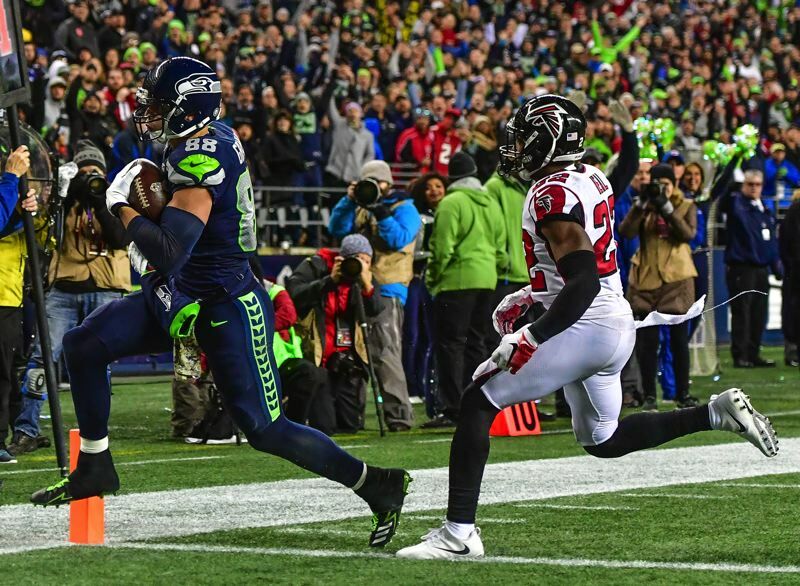 The Seahawks reached Atlanta's 34 with seven seconds to go. But Walsh's 52-yard try, which was on line, came up a yard or two shy. 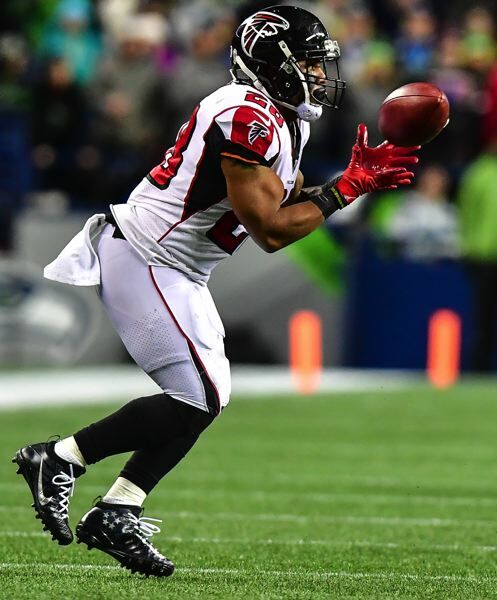 Former Oregon State running back Terron Ward helped the Falcons with 31 yards on six carries at CenturyLink Field.